Are your feet scratching your lover? Use this soap once and you’ll notice an immediate improvement! Use it 3 times and you won’t have your scratchy, dry feet anymore! 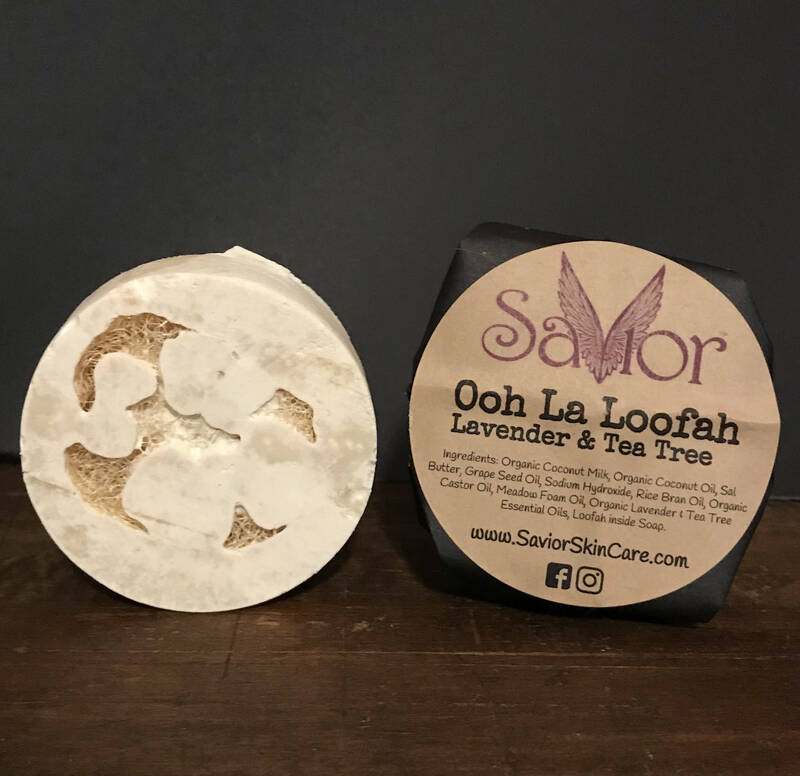 This Vegan Soap based of Organic Coconut Milk, With moisturizing Sal Butter & Organic Coconut Oil to soften, Tea Tree & Lavender to kill any bacteria that may be lingering & Organic Castor Oil & Meadow Foam Oil to lock in the moisture, the built in Loofah to buff those dry, sharp edges of your feet-you won’t need those pedicures!